Year end holidays start in a weeks time. 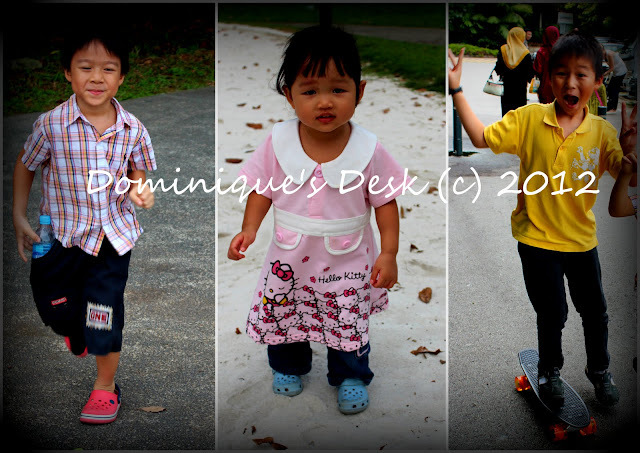 The kids will have a six week break before the new school term starts again in January 2013. I have planned a lot of activities to fill up their time and give them a great holiday. The kids will be going on not one but two trips overseas with us. They will be having play dates with their friends. We will be watching Mickey Mouse Live in the Theatres. We will be going to various parks and playgrounds all over Singapore. Carrying out Science experiments at home and other fun DIY projects. Reading up and preparing for the next academic year. Spending a lot of time with both me and R.
What do you have planned for your kids this school holiday season? That’s a good list. Thanks for sharing. A very nice listicle…Happy holidays. great idea. i think i should start making my to-do list as well for next year’s agenda. MIcke Mouse live is such a great idea! Thanks for the inspiration, I think I’ve just found the perfect birthday gift for my little toddler! Sounds like you have lots of fun things planned. Enjoy your holidays! We only have about 2 weeks of holidays over Christmas, so much of the time will be spent doing Christmas-y things with the family and spending time with the grandparents who will be visiting. Oh yeah, worksheets every day (yes, even over Christmas hols)! I still don’t know when the kid’s holiday starts here but definitely this is a good idea to make a list! Sounds like you’ll be busy.! Is only one of them true 😉 ? Sounds perfect! Look forward to see where your travels take you! I am considering the Mickey Mouse live too!